Description: Here is a modern classic, perfect for printing your client`s corporate logo or promotional message. 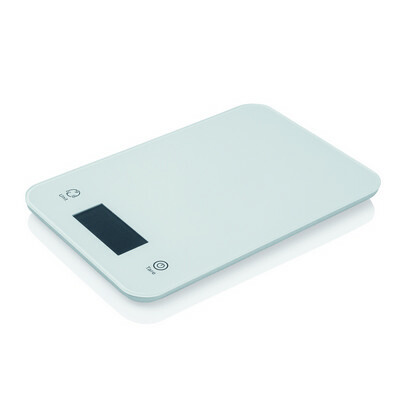 This professional quality, LCD display scale weighs in 1 gram increments (in the metric scale), rendered in both grams or kilograms, as well as in pounds or ounces in the imperial scale. Limit 5.2kg / 180oz / 11.5lb. Colours: White. Materials: Plastic. Decoration Method: Pad Print. Price includes : Printed - 1 col, 1 pos. Setup is included.